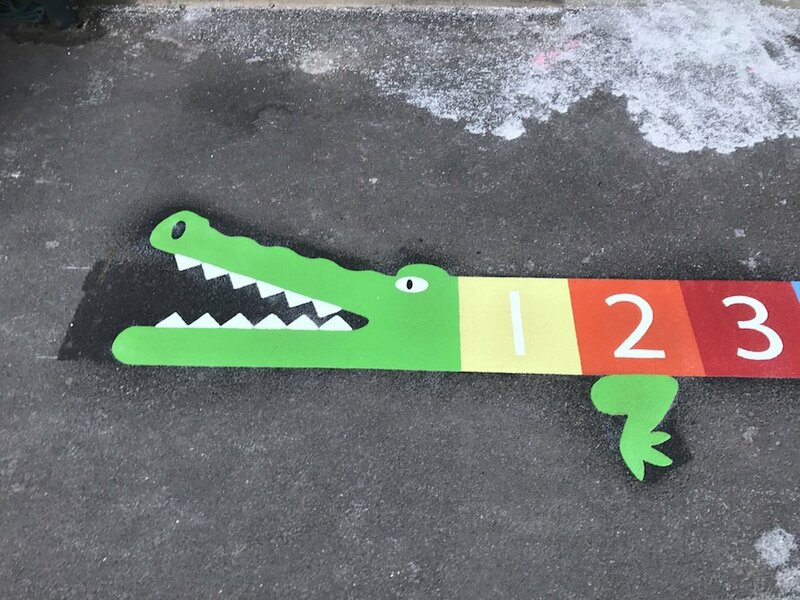 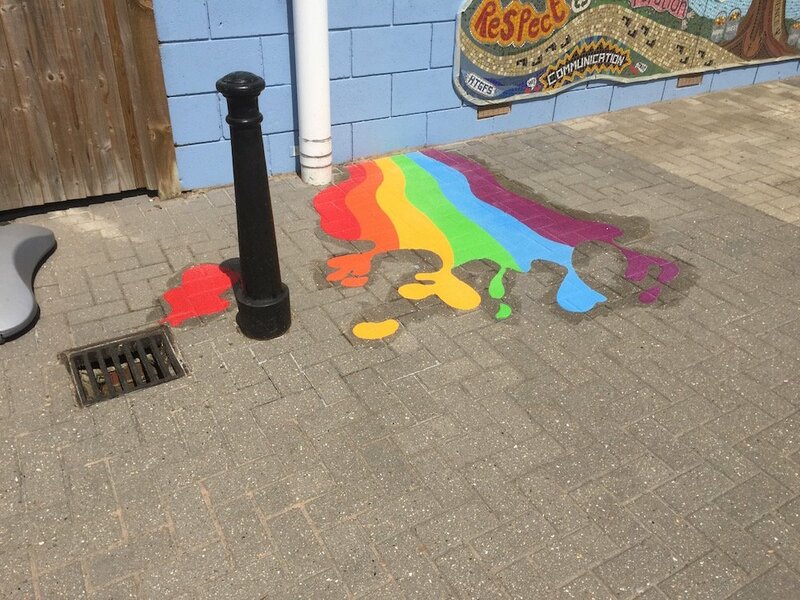 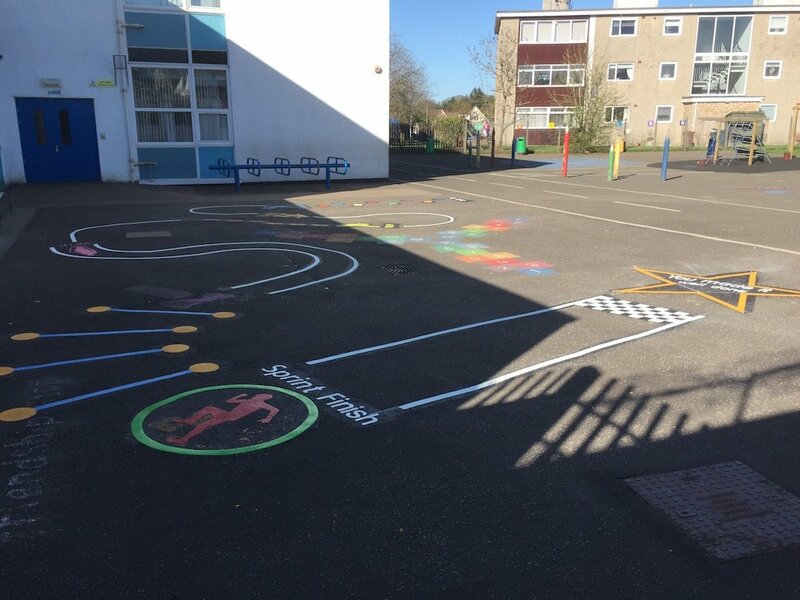 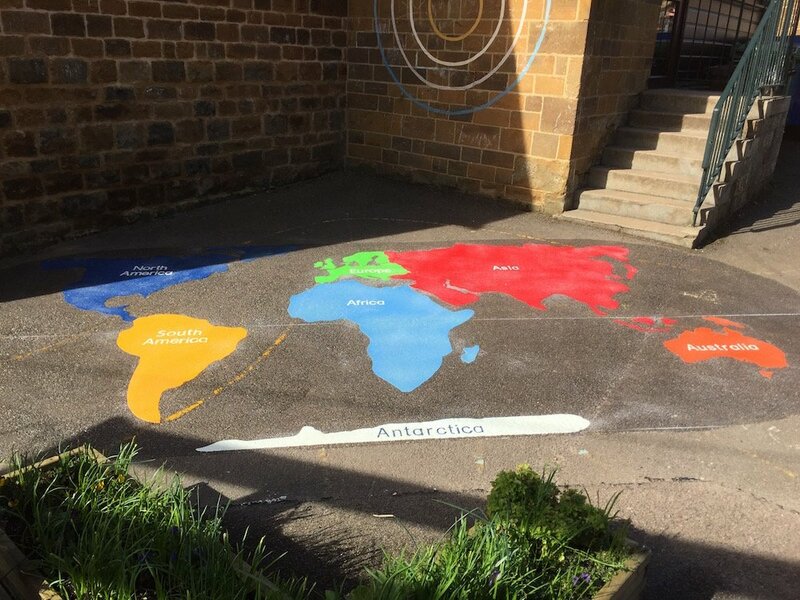 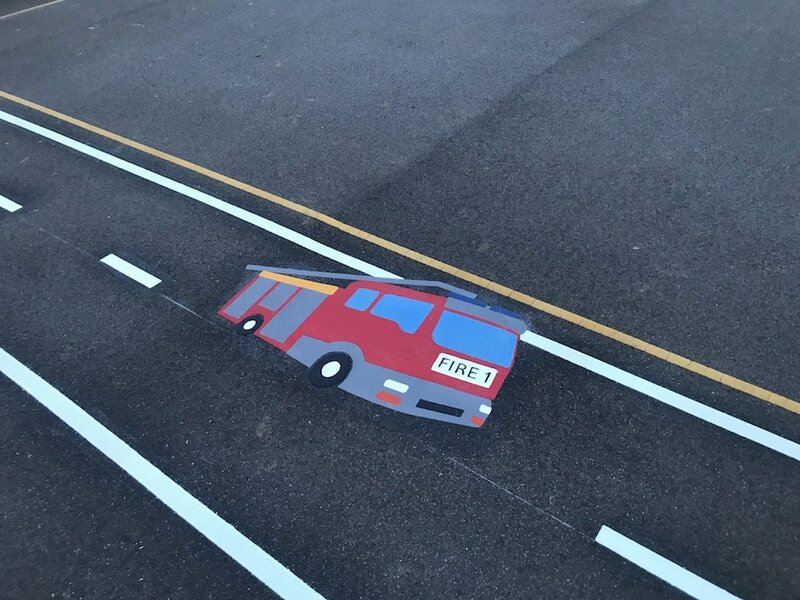 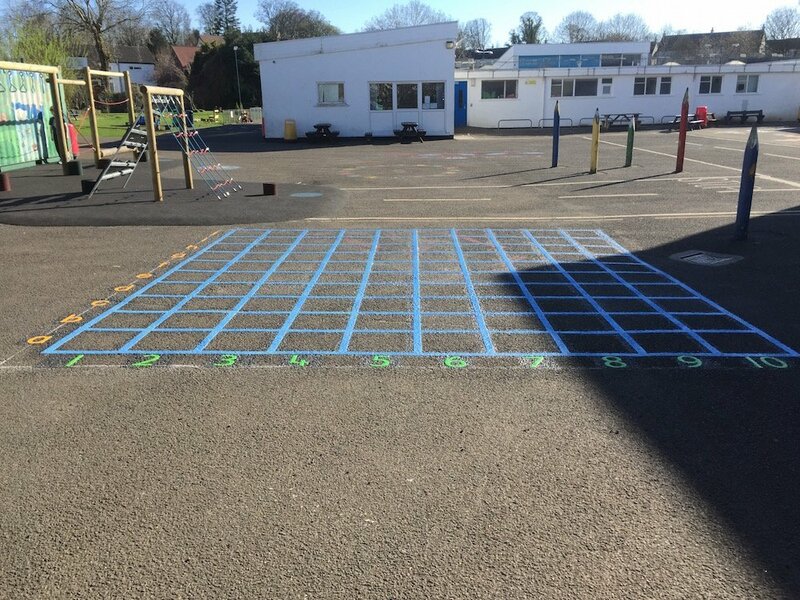 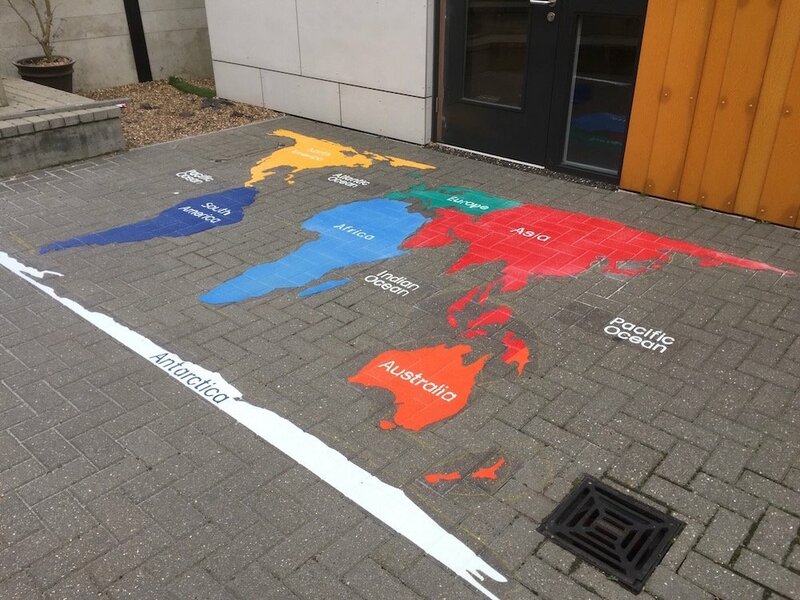 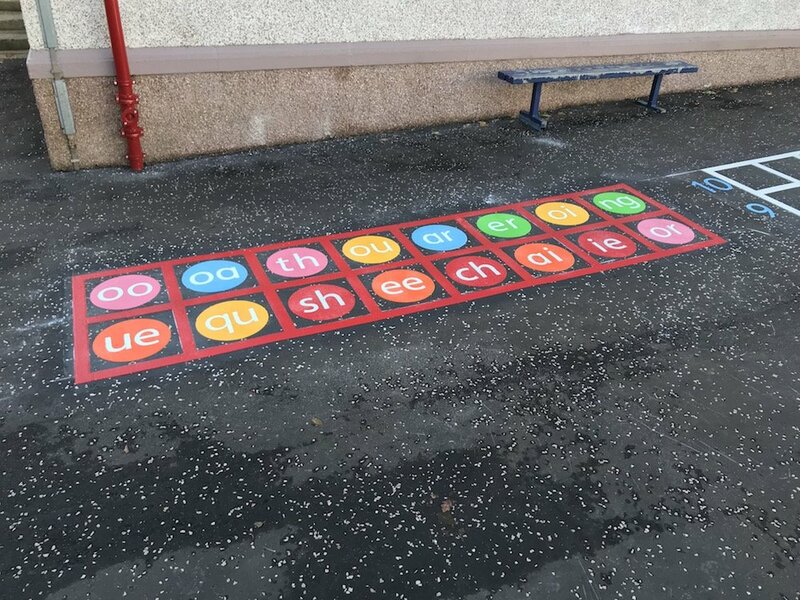 Our installation team journeyed North West to Glasgow to install this range of brightly coloured playground markings for a local primary school. 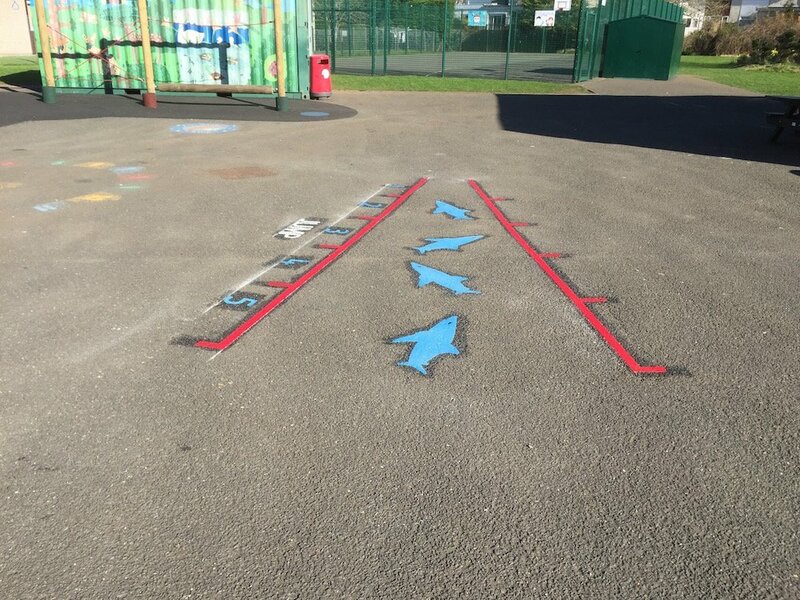 Next, the team installed this Shark Jump. 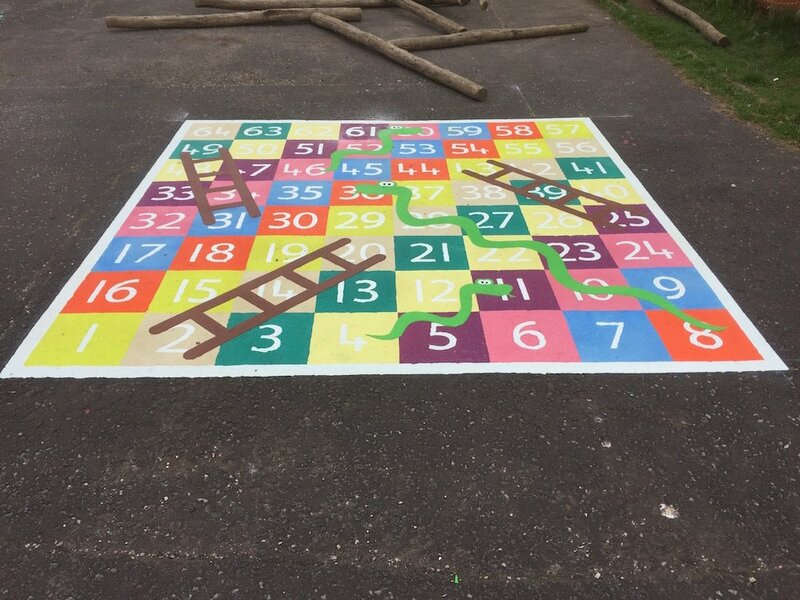 The Shark Jump is a really fun game and children love it. 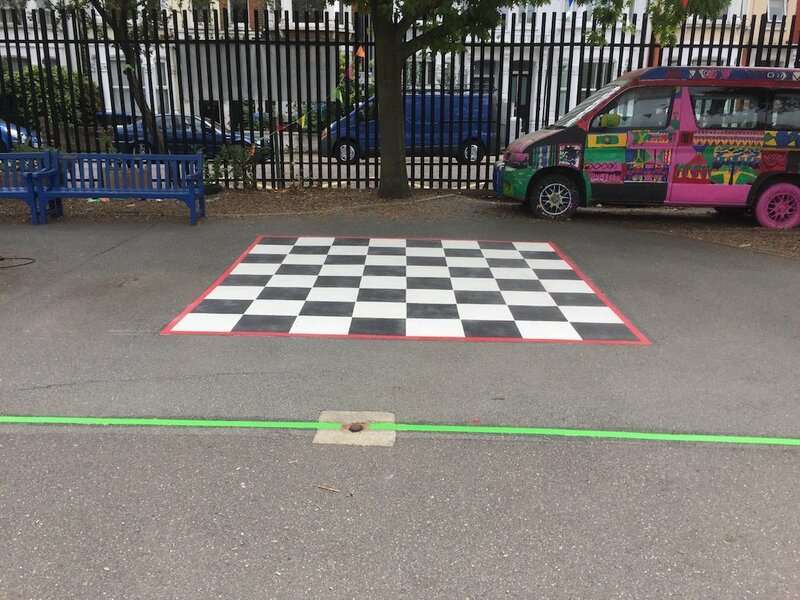 Then the team installed this Co-ordinate Grid. 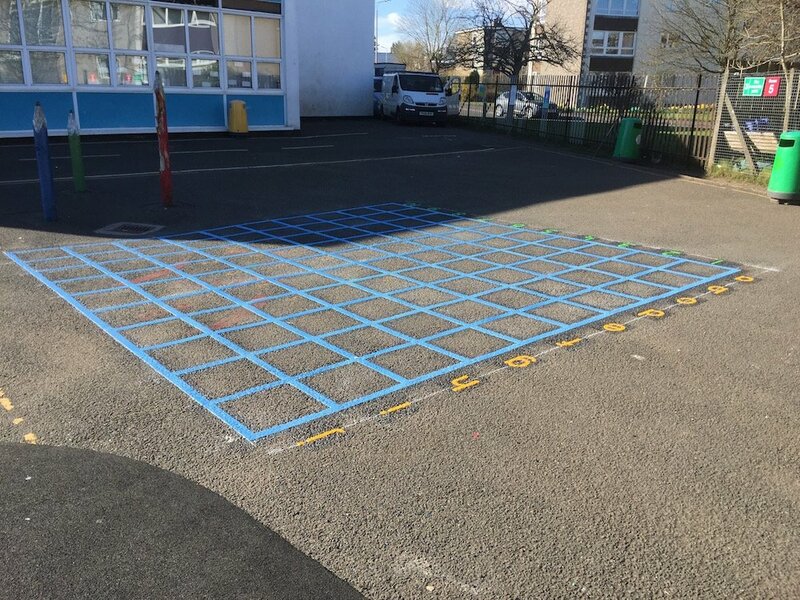 The Coordinate Grid is a great way for KS2 children to interactively grasp and understand coordinate points. 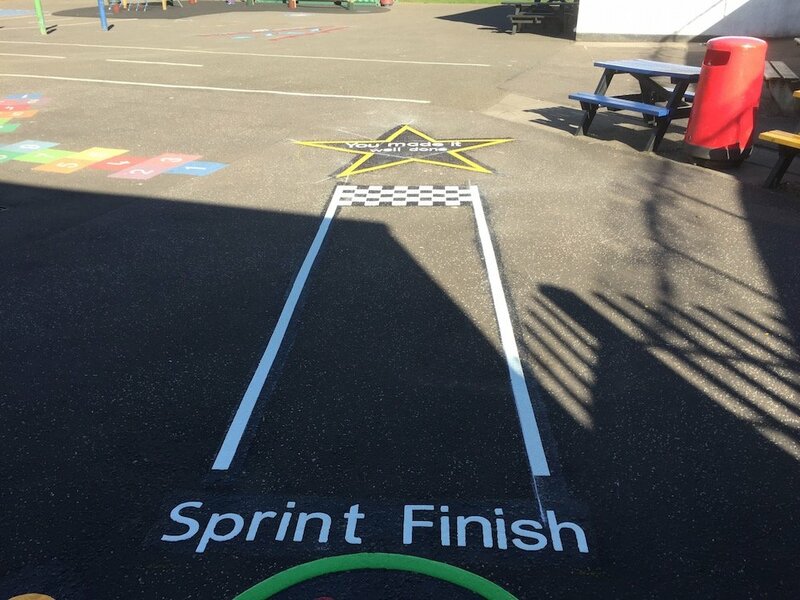 Lastly, the team installed this Activity Trail.